Some people call DevOps a cultural professional movement; when they think of the magic bullet, they believe that the one way to do it is this: “I buy myself this DevOps solution” – it never really works. JAXenter editor Gabriela Motroc talked to Damon Edwards at DevOpsCon 2016 about the state of DevOps. He debunked the myth that DevOps is a magic bullet and explained why operations are squeezed the way they are today. Damon Edwards: Hi Gabriela, how are you? JAXenter: Great thank you. So how was your session? Damon Edwards: It was good. It was fun. A lot of good questions. JAXenter: Oh great, happy to hear this. So here’s one from me: There are a lot of people who think that DevOps is a magic bullet – but is it, though? How can we make DevOps work? Damon Edwards: DevOps isn’t really a thing and that’s kind of the thing people want to get over their mind around – like… continuous delivery is a thing. There is a book, there is a process, it’s a very specific thing. DevOps is really an idea. Some people call it a cultural professional movement; there’s an umbrella of problems all around this loose idea of “how do we build and deliver services and operate our organisation with, you know, higher throughput, better quality, lower cost, so it’s kind of an umbrella around a bunch of problems and an umbrella around a bunch of potential solutions or countermeasures for those problems and it’s an ongoing conversation. You think about that way, then what you have to do is figure out which of these problems do I want to attack first and which of these countermeasures or solutions do I want to try or apply to those problems and go from there. When people think of the magic bullet, they believe that the one way to do it is this: “I buy myself this DevOps solution” – it never really works. JAXenter: And who has to suffer when this solution fails? Also, during your session, you said that Ops are under pressure. Why is that? The same business people are saying both of those things. So the Ops department, where it all has to hang together, is getting squeezed between those two pressures. And I think that what we have to do is rethink how we structure and how we work in operations organizations – in order to release that pressure. All the goodness of operations, all the discipline is more important than ever. We have to rethink how it’s delivered when it’s delivered and where it’s delivered, so we can relieve that pressure. Otherwise, the organization crumbles underneath that – nothing gets done. JAXenter: And does the management count in this scenario? Does it make it worse or does it put further pressure on Ops? Damon Edwards: Well, I think the management is just reflecting the desire of the business. I think what they see is a lot of the standard things that they used to do, which is “oh, let’s outsource this”, or “oh, let’s bring in more headcount.” It’s starting to lose its effectiveness, the kind of classic transformation: “let’s bring in the next big vendor to sell us the right set of tools, because most have the old, so our tools must be bad.” All these old plays that they used to use aren’t helping in this scenario, so I think the role of management in this scenario is to make sure the work is visible, turn this into a supply chain management, turn what they do into a supply chain management problem and optimize for flow, optimize for speed (which will help you with cost), rather than the classic model, which is “I’m going to optimize for this siloed efficiency” – which just makes things worse. That’s why operations are squeezed the way it is today. That’s because first of all there is this operational silo, and then we build silos inside the silo. We’ve got five different networking teams, we’ve got, you know, system administration teams, we’ve got cloud teams, got storage teams, compute teams, right, and they’ve all broken things up into more silos and that old philosophy of management is why they’re in this stuck position of being squeezed between those two pressures. That’s why operations are squeezed the way they are today. That’s because, first of all, there is this operational silo, and then we build silos inside the silo. We’ve got five different networking teams, we’ve got system administration teams, we’ve got cloud teams, got storage teams, compute teams, and they’ve all broken things up into more silos and that old philosophy of management is why they’re in this position of being squeezed between those two pressures. JAXenter: You’ve also talked about snowflakes. So what is a snowflake and what does it lead to? Damon Edwards: A snowflake is a concept that says “Well, something could be a component, could be a system, whatever it is and it might be technically perfect at that point in time, but it’s non-repeatable, it’s a one-off.” When you make a manual configuration change, by definition you are creating a snowflake. The problem is that a snowflake undermines other people, so I’m coming along and four things look alike and the fifth is not. I didn’t know because of some slight difference. It could have been done differently, in a different directory or it could have had a minor change, and now whatever I was doing blows up. Snowflakes become time bombs – we want to mix metaphors there – they’re a form of technical debt that undermines operations, it causes a lot of problems, it makes things more manual, so when we start down on that path automation becomes very difficult because there is just one thing worse than automation that doesn’t work, and that is automation that’s a little bit broken. This causes more problems. So snowflakes are a mindset of saying that we have to recognize that anytime we have a snowflake it’s a risk in our system. So it may be inevitable, you may just say “Well, we had to make this manual change”, but you should feel a little bit dirty and should think like “Well, that’s not good, we got to figure out how to go back and fix that and get rid of it.” So, you see, organisations, they’re saying: “If we’re going to work this new kind of throughput-driven horizontally, flow-driven way of working, we have to get rid of the snowflakes or stop the processes that are snowflake machines which create all these snowflakes, because, otherwise, we can’t standardize, we can’t automate and we can’t really make things as smooth and efficient as we want”. So, it’s one of these DevOps ideas, that colors how people are designing and running their operations. JAXenter: And costs are probably among the challenges or the consequences? Damon Edwards: Yeah, definitely, because everything is now more manual. So, when you can’t automate, things are more manual – that’s higher cost. When you have unknown conditions that are going to cause errors and problems, that inevitably drives up costs – not just cost of solving the incident like an outage, like “we couldn’t process transactions for an hour, but now I’ve got to count all the rework that it drove through the organisation: the scramble, the bridge calls and everything else.” Snowflakes are definitely the culprit of a lot of reasons why operational costs appear to be too high. JAXenter: Finally, I’d like to know what is the most exciting part about DevOps. Damon Edwards: It’s not just about cool tools or new processes. It’s not just about the business winning, it’s about people winning. That sounds kind of hokey, but the organizations that are succeeding in transforming into this model of working – kind of the DevOps unicorns people talk about – they’re better places to work. People want to work there, they enjoy working there, they attract other high-performing people to work there, because it’s a better, it’s a saner and better way to work. And I think that life for a lot of people in enterprise IT, especially in specialist enterprise operations, is kind of miserable. They’re rolling the boulder uphill, all day long both ways, in a digital IT salt mine. I mean it’s obviously never that bad, but it’s not good either… A lot of people wouldn’t be doing this job if it didn’t play better than other jobs around them. And you take that point of view and you compare it to these high performers we see, that people love and want to work there and thrive working there – that’s the magic. I think you could actually improve people’s lives by making their work a lot saner, a lot more interesting, a lot more friction free. 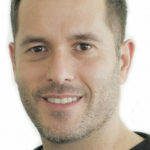 Damon Edwards is a Co-Founder and Chief Product Officer of SimplifyOps, the makers of the popular job scheduling and runbook automation tool, Rundeck. Damon Edwards was a co-founder of DTO Solutions, a DevOps and IT Operations improvement consultancy. Damon has spent over 15 years working with both the technology and business ends of IT operations and is noted for being a leader in porting cutting-edge DevOps techniques to large enterprise organizations. 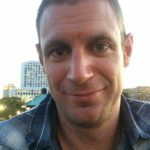 Damon is also a frequent conference speaker and writer who focuses on DevOps and operations improvement topics. 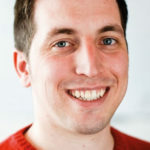 Damon is active in the international DevOps community, including being a co-host of the DevOps Cafe podcast, an early core organizer of the DevOps Days conference series, and a content chair for Gene Kim’s DevOps Enterprise Summit.